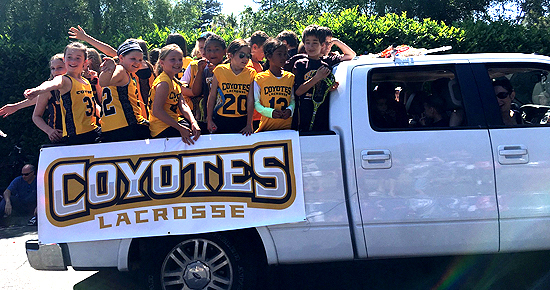 A big shout out to those who walked/rode in the Hillsborough Memorial Day Parade representing Coyotes lacrosse. Thank you Steve Xanthopoulos who drove his truck packed with Coyotes players. I hope everyone has a wonderful summer. Please join the entire Coyotes Organization and Teams this Sunday, 6/5 from 3pm-5pm in Washington Park near the Burlingame Parks and Rec Center. Bring drinks (A-K) and cupcakes/cookies (L-Z) – there will be a place at check-in for drop-off. Coyotes 2016-2017 Registration: Registration will open for returning players next week. This early registration process will provide us with more insight and planning support to manage our club size and staffing for the upcoming season. New players registration will begin in September. 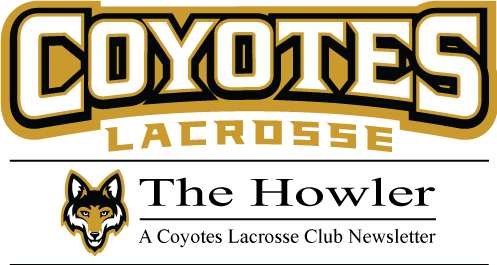 Also see our Off-Season Playing Opportunities section on our www.CoyotesLacrosse.org website.